Smoothly written with an interesting back story about Amish life. The science fiction concepts were sound and the action is non-stop. Just enough hook to keep me reading, but I could not really engage with the main character as we have little in common. Otherwise, I would have given it 5 stars. 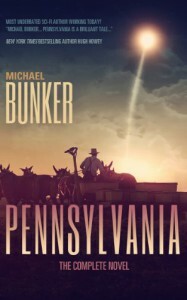 I still think Wick is the author's best work, but Pennsylvania is ultimately warm and satisfying. Worth the read!